The much-awaited documentary movie of a teenage girl that changed the world is finally happening soon as full movie trailer of "He Named Me Malala" from Fox Searchlight has finally released online. It will be remembered that Malala has become a news item when she was targeted, alongside with his father, for promoting and advocating girls' education in her country. At 15, Malala was shot by the Taliban in Pakistan while she was travelling home on her school bus in the Swat Valley. Though critically injured, she has survived the attack to become a beacon of hope and strength, and continued her crusade and advocacy. Her attack has led her to co-found the Malala Fund, which helps to spotlight girls’ education globally. "He Named Me Malala" shows the life that she has and her relationship with her father, the man who inspired her love for education. The movie chronicles not only big moments in her life – such as becoming a Nobel Peace Prize Laureate and speaking at the UN – but also her experiences at home with her brothers. "He Named Me Malala" is set to be shown on October 9 in movie theaters, worldwide. There are no playdate yet for Philippine release. We will update you as soon as we got the playdate of this film. 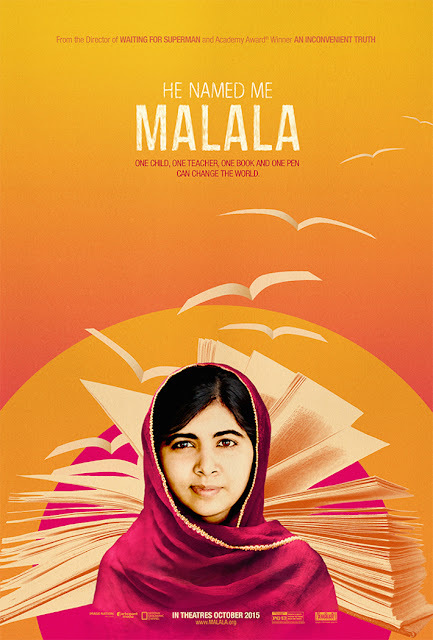 Below is the official full movie trailer for "He Named Me Malala".